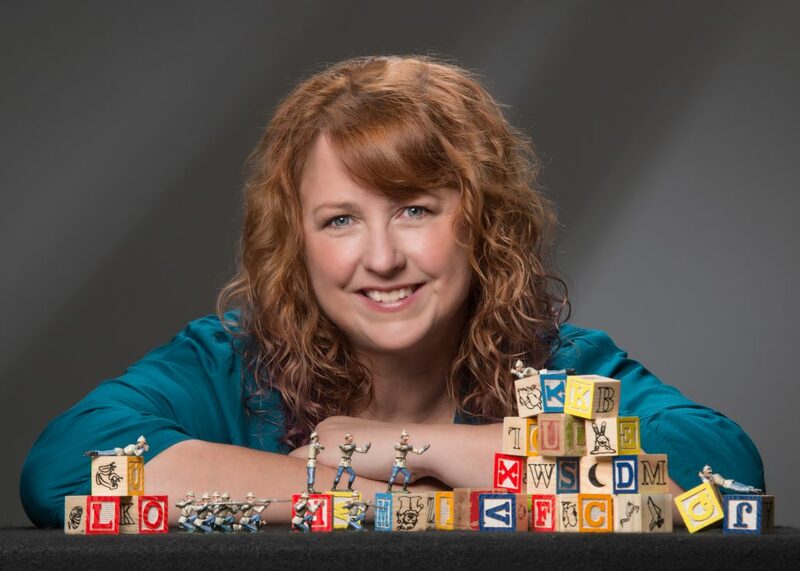 Sheri Graner Ray is the CEO and Founder of Zombie Cat Studios and a sought after design and production consultant. Shehas been designing computer games since 1989. She has worked for such companies as Electronic Arts, Origin Systems, Sony Online Entertainment and Cartoon Network. Most recently she worked with Jesse Schell at Schell Games as the studio’s Design Director. She is author of the book, “Gender Inclusive Game Design-Expanding the Market” which was nominated for Game Developer’s Book of the Year in 1996. I didn’t. There really wasn’t a game industry when I started. I had been DM’ing a table top group (and still do) and have always written all my own adventures. There really wasn’t a “game industry” back then. There was Origin Systems in Austin and I didn’t know it existed until one of my gamers was working there. He took my resume in and later that week I interviewed with Warren Specter.. the rest is history. Well it’s not “mine” exclusively.. but it was the design team’s mistake. We were at Origin working on Ultima VII.5 The Serpent Isle. In Ultima’s you could bake bread and harvest wheat and such. We (the design team) decided you should be able to kill a cow and get meat. So to do this, we simply had the cows inherit the class “NPC”… that way they’d have inventory and we could just fill the inventory with steaks, so that when you killed a cow, you would get a death inventory and there would be steaks… sounds great, right? Well, what we forgot is that when we first designed the game, we didn’t want you to be able to just run around the town and kill all the NPCs.. at least not easily.. so we gave them the feature that they would run away from the PC if the PC attacked them. We then gave them a speed at which they could run away faster than the player. Sounds good for a cow, right? The cow should be able to run away if it’s attacked. The way we increased the NPCs speed, was that we lowered their weight. The way we lowered their weight was to have them drop things from their inventory. Yup.. if you hurt a cow, it would run away from you, dropping steaks….then it would run off screen… and regenerate its hit points.. and its steaks… and just come back for you to hurt it again. Endless food for just hurting a few cows! YIKES! No question…the email I got from a young woman saying that while I probably didn’t remember her, she heard me speak at a game conference and that I had changed her life by giving her the courage to pursue her dreams.. she’s now a programmer at a well known publisher working on triple A titles. It just doesn’t get any better than that. Never give up. Never surrender… the great words from Capt Nesmith of Galaxy Quest. 🙂 I live by that every day. errrrrrr…. ok.. here’s one that pretty much only my family knows…. In high school and early college I competed regularly in talent shows as ventriloquist. I won district and placed in state competitions. Tho I no longer have a figure and haven’t practiced in years, at some point I figure to get out to the conVENTion that goes on in Los Vegas every year.. maybe pick up a new figure. Who knows.. may be a second career for me on cruise ships, eh? 1. the indie game movement!!! Traditional publishers are so tied to the bottom line and have to answer to their share holders that they are becoming more and more risk adverse. So I believe it is through the Indies that we will find some of the most unique and exciting game innovations to come. 2. The fact that we have schools now where young adults can get an education in game development in a much more diverse environment than we have in the industry. I’m hoping that those up and coming bright lights will bring that attitude of inclusivity into the industry with them! I’m very excited to see the UT Video Game Archives and other such groups focusing on collecting the papers of various developers.. particularly female developers. I think many of the original women in the industry have been overlooked or their importance diminished. By keeping their papers and things we can make sure they get their rightful place in industry history.. because we’ve been here from the beginning and we aren’t going away!